I've always walked by this place but this is the first time I'm actually trying it out! The Korean fried chicken trend has been going on for some time in Singapore but this is the first time I'm actually trying it out for myself. Have heard sooo much about how yummy korean fried chicken is so.. let's find out once and for all if it's worth all the hype. This soup is thick. There is no other word for it other than thick. Not entirely sure if that's the way it's supposed to taste, but it's not too bad I think. Sour and spicy, very appetitizing. 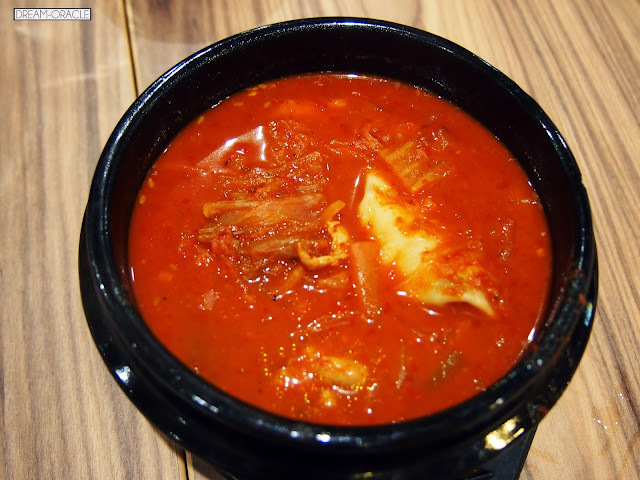 There is also a generous portion of kimchi in the soup, so that's a definitely plus point. I like the flavour of these but I found them a tad too oily for my liking. You can literally see the oil glistening on your plates. These are pretty well done. 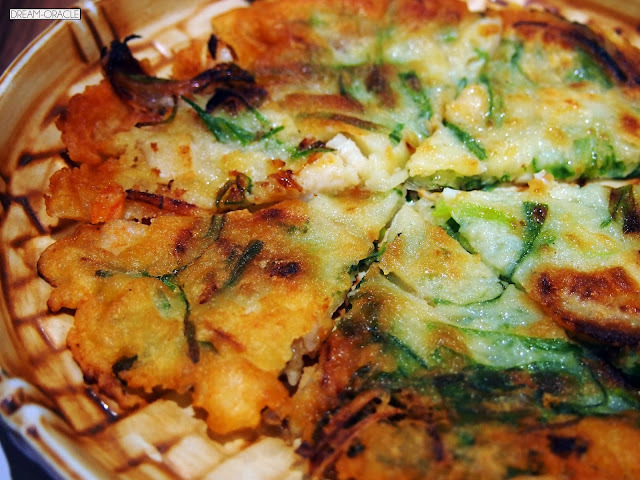 The pancakes are thin and slightly crispy with a generous portion of scallions. Pair them with the soy sauce, and I think I can finish these all by myself. Okay so the limelight should be on the Korean fried wings. The soy garlic flavour is slightly sweet and very crispy. 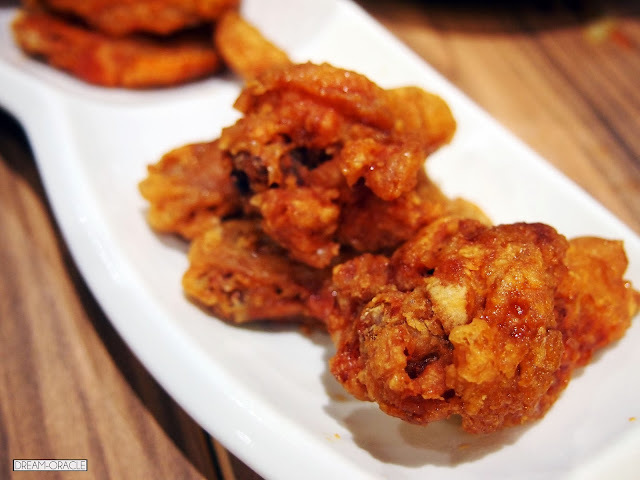 Korean wings are fried twice so that the skin becomes more crispy than your usual fried chicken dish. I think the hot sauce flavour isn't really hot, but I do prefer the soy garlic flavour more. While the skin is really crispy, I thought the meat for both flavours were oddly lacking in flavour and I found it a little on the dry side as well. The chicken meant wasn't juicy enough and that I think is disappointing. I would have thought that chicken as the specialty dish would be more well done, but it was a disappointment. 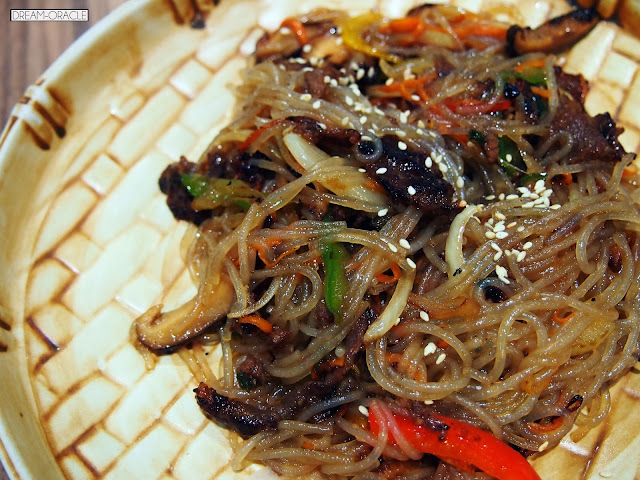 The other Korean dishes were pretty good though. 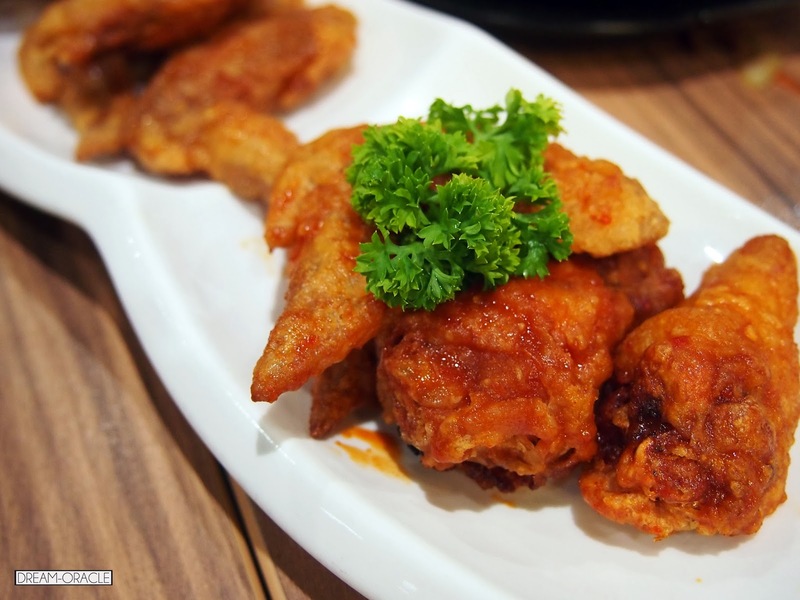 Maybe..for Korean fried chicken, I should pay the famed Kho Kho Nara a visit since that place seemed to have raving reviews.